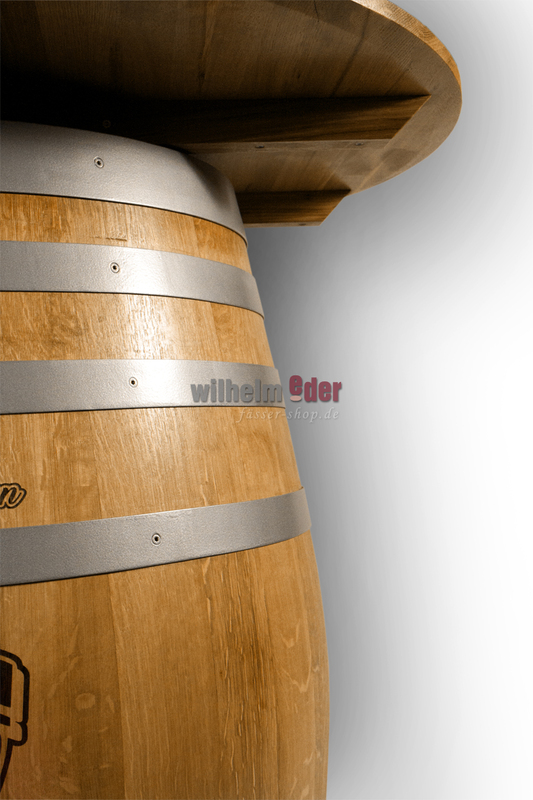 Product information "Standing table with table top “Profi”"
Made from a used oak barrel 300 l, professionally cleaned and sanded, provided with a round barrel plate. 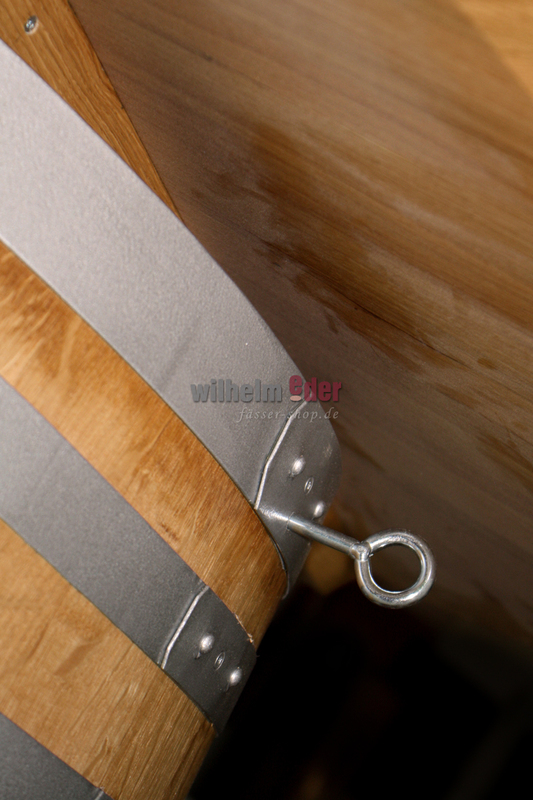 The galvanized hoops have been pained silver. 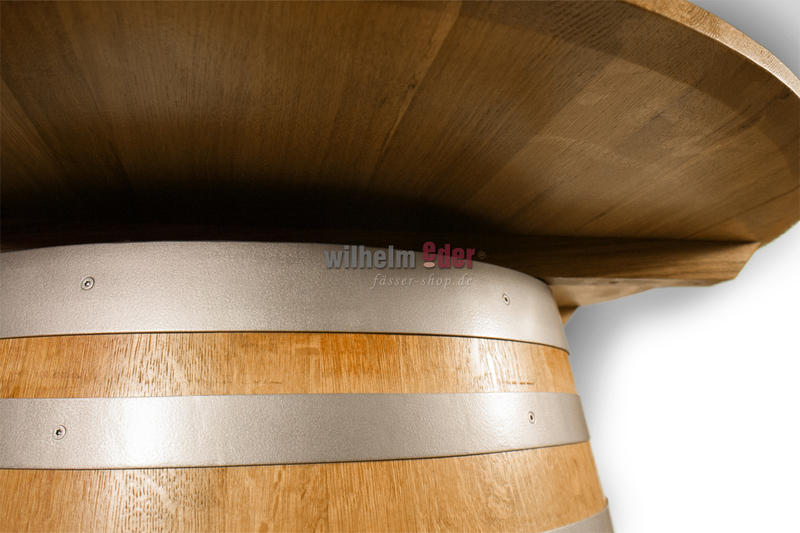 The round barrel plate by means of a solid oak substructure is screwed on the barrel. This standing table is mounted on four rollers and one roller can be used as a parking brake. 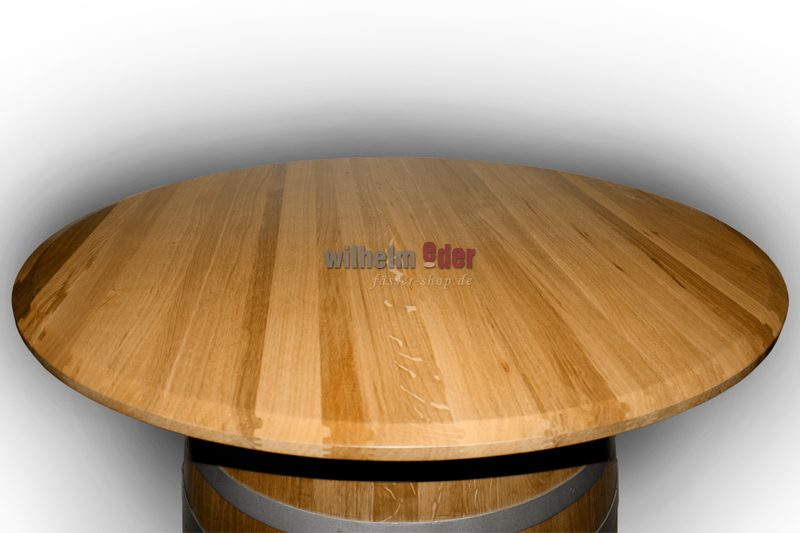 To avoid theft, this table is equipped with a metal hoeing. 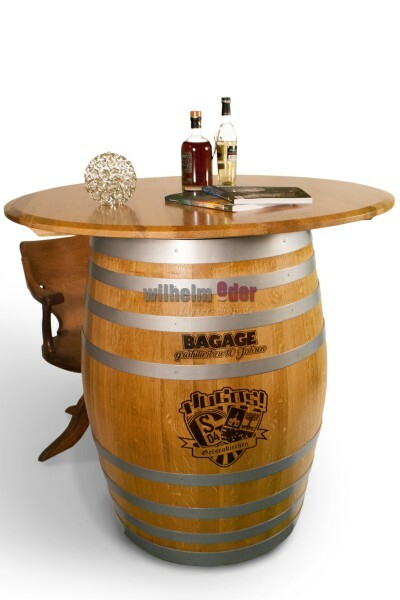 This standing table is coated with boat varnish and optionally available with a laser engraving of your logo.